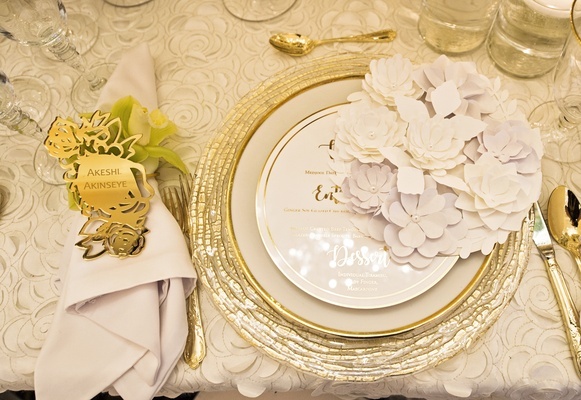 Though summer is almost upon us, what that really means is that many brides are in the throes of planning their spring weddings for next year. 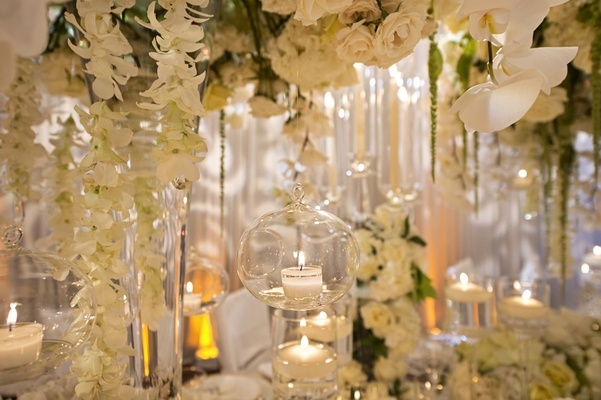 A stunning styled shoot, from the teams of Carasco Photography and Kesh Events, offers inspiration for how to embrace the most floral of seasons. 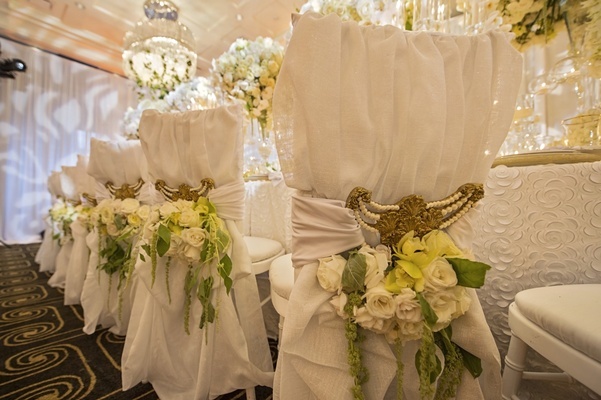 Set at the iconic Waldorf Astoria Chicago, the floral designer took a cue from the Parisian feel of the architecture. 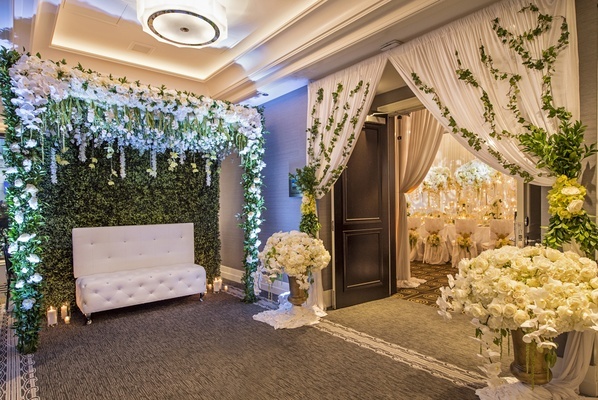 Before entering the room, there is a small lounge area for photos – a love seat in front of a verdant wall of ivy with an overhang of white roses and tulips. 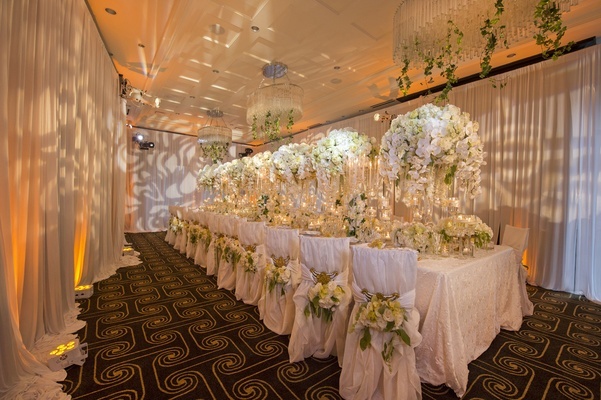 The reception space features a long king’s table and seating encased in ivory chair covers, embellished with gold and pearl chair interlaces, from Nüage Designs. 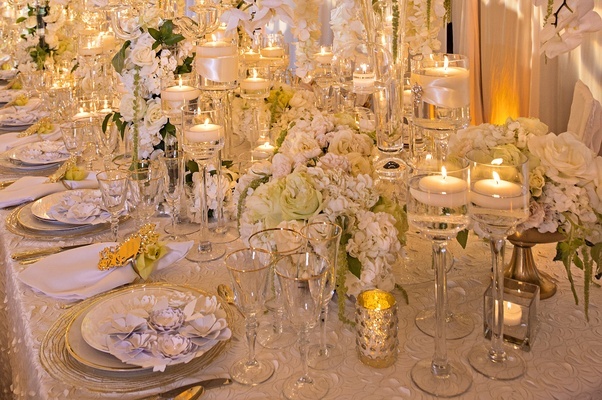 The tablescape is completely filled with lush florals. 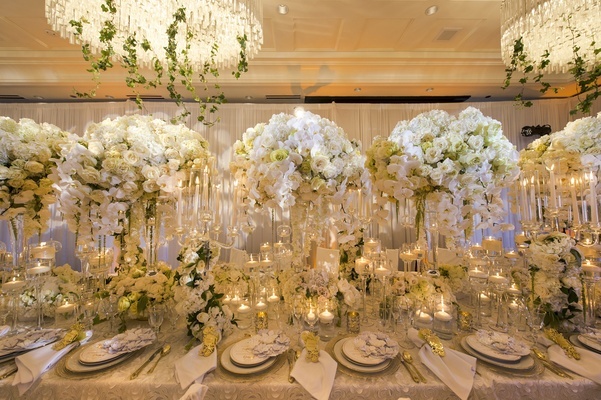 Tall centerpieces with white orchids and cream roses are surrounded by further blossoms accented with greenery. 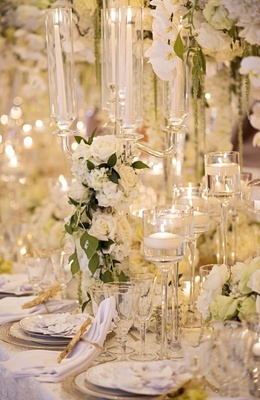 Small stands hold floating candles and glass candelabra find blooms snaking up the base. 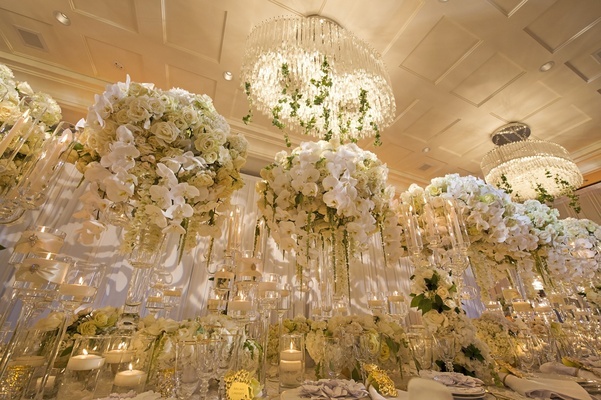 Above it all are two modern, crystal chandeliers with ivy intertwined and cascading downward. 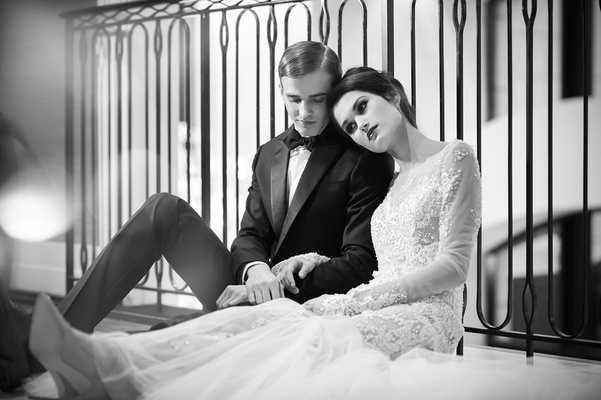 The model bride posed with the classically dressed model groom in two different gowns. The first features a textured skirt juxtaposed with a tulle bodice. A beaded jacket by Monique Lhuillier highlights the elegance created by the beauty team. 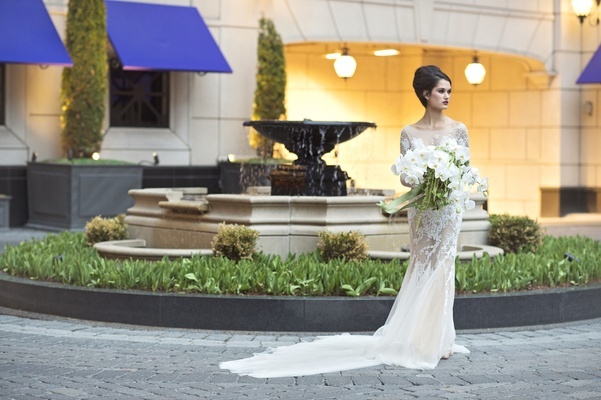 While in a sheer gown with appliques by Ines Di Santo, the model holds a full bouquet of orchids and amaranthus. 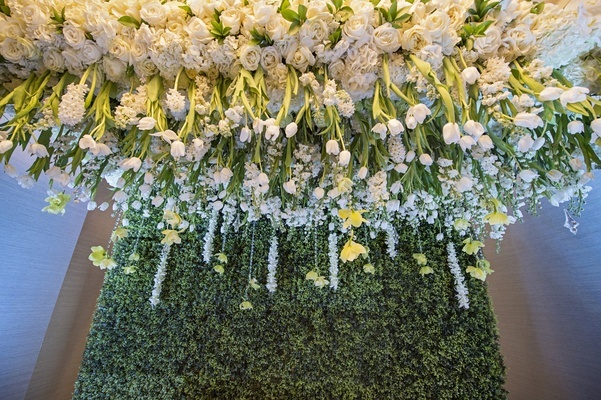 View the beautiful images in the slideshow above and gather inspiration for your springtime celebration!